Davis also mentioned that local churches host conferences and other events to draw religious group travelers to the area. 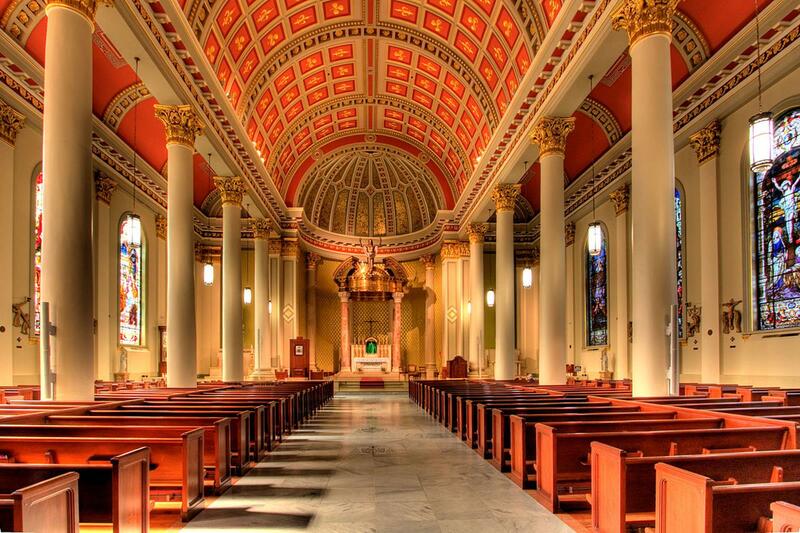 The Cathedral Basilica of the Immaculate Conception is the seat of the Roman Catholic Archdiocese of Mobile and one of Alabama’s oldest churches. 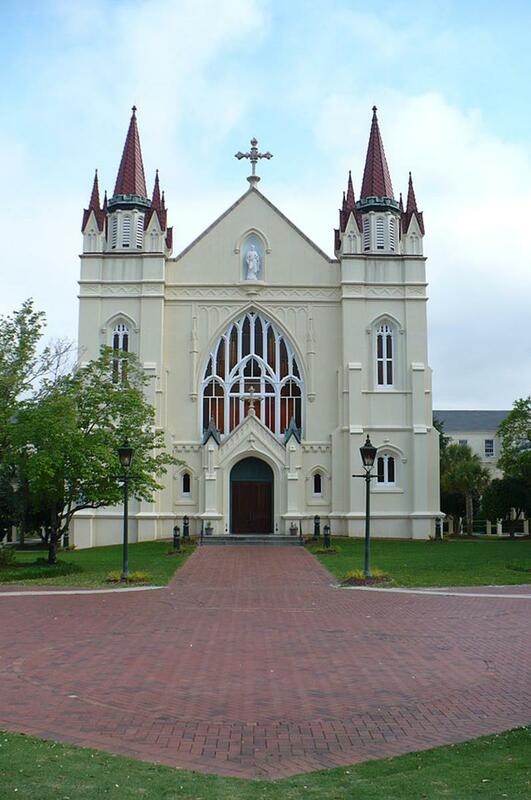 The cathedral was built between 1835 and 1850 under Michael Portier, the first bishop of Mobile. Architect Claude Beroujon, a former seminarian, designed the cathedral in the Roman basilica style. The stained-glass windows were made in Munich, Germany and installed between 1890 and 1910. Many of the windows depict scenes of the lives of Mary, Jesus and the saints. Christ Church, founded in 1822, was the first Protestant church in Alabama. Originally, all Protestant denominations worshipped together in the original building. 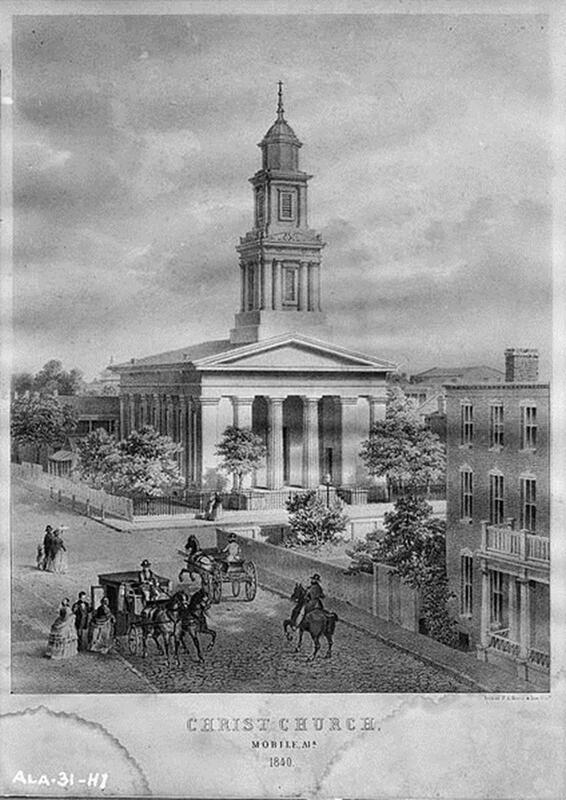 In 1823, the Episcopal congregation established Christ Church Parish. 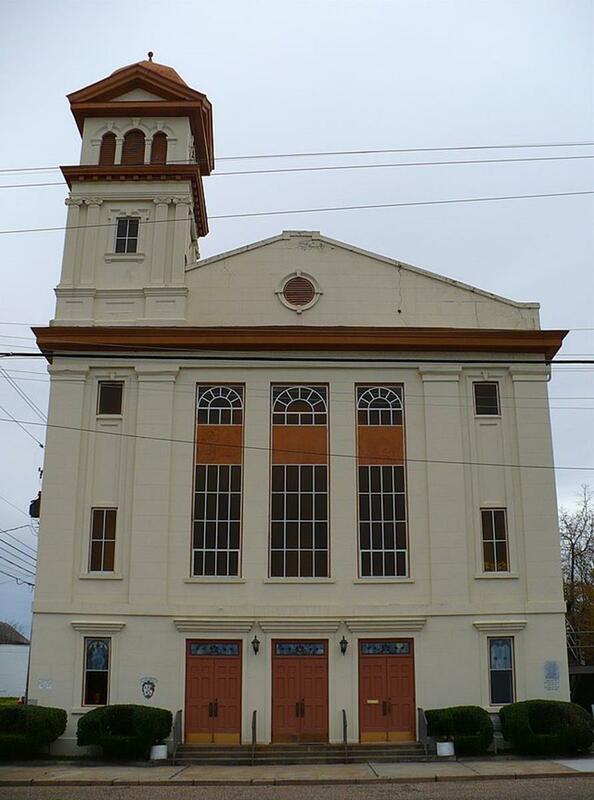 The congregation started construction on a new church in 1835 and had it consecrated in 1842. In 2003, the church became the cathedral church of the Episcopal Diocese of the Central Gulf Coast. Stained-glass windows, including two by Tiffany, adorn the church. Emanuel African Methodist Episcopal Church is one of Mobile’s historic African-American churches. 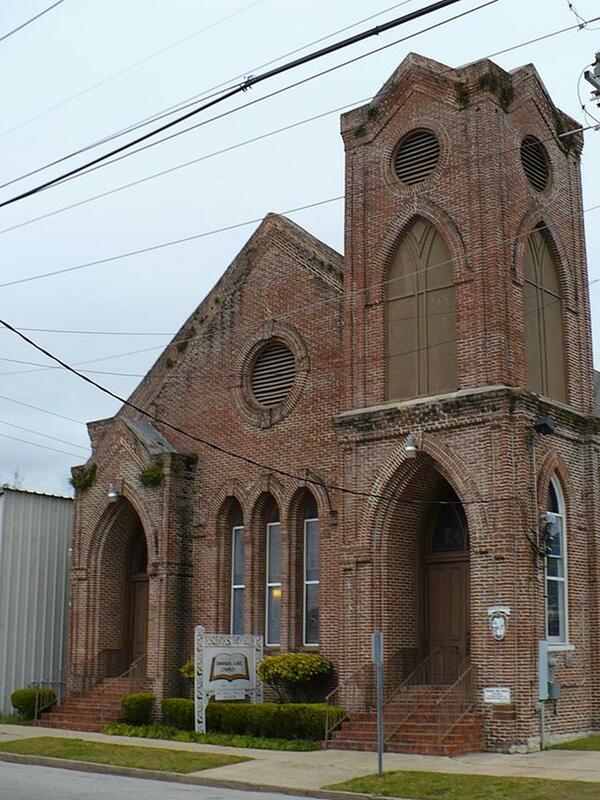 The congregation purchased a vacant lot and built a frame church there in 1869. In 1881, James F. Hutchisson, a well-known white architect, designed a brick Gothic Revival façade for the church. Emanuel African Methodist Episcopal Church was added to the National Register of Historic Places in 1987. Other historic African-American churches include St. Louis Street Missionary Baptist Church, State Street African Methodist Episcopal Zion Church and Stone Street Baptist Church. Malbis Memorial Church is located in nearby Daphne. 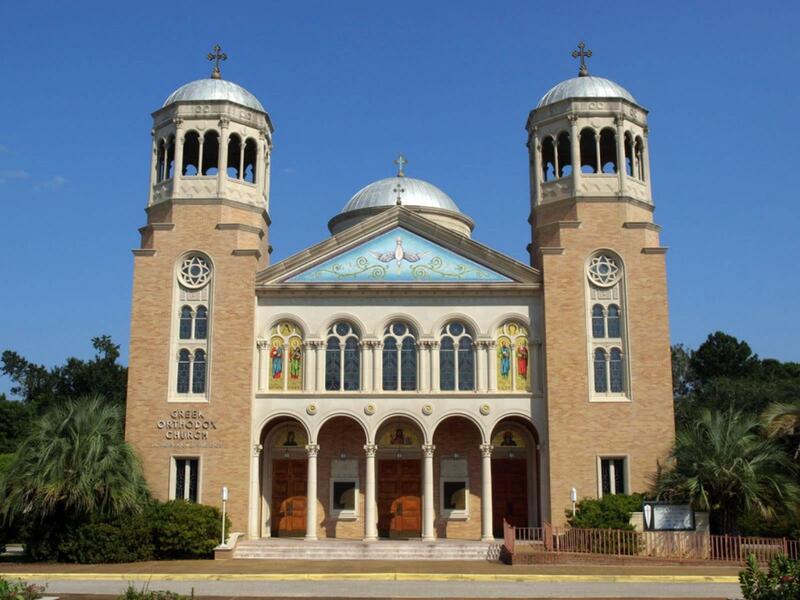 The Greek Orthodox Church was built in 1965 in memory of Jason Malbis, a monk who founded the Malbis Plantation, a community of Greek immigrants, in 1906. Malbis Memorial Church, finished in 1965, is modeled after the Church of Panagia Chrysopolitissa in Athens. Beautiful mosaics and paintings ornament the church. Tours are available. Other religious sites of interest include the Sodality Chapel and St. Joseph’s Chapel (both on Spring Hill College’s campus). Two historic Roman Catholic convents, the Convent and Academy of Visitation and the Convent of Mercy, are also in the area. The Mobile Museum of Art is the largest art museum along the Gulf Coast from New Orleans to Tampa. The museum displays over 9,000 pieces of art in American, Asian, contemporary, European and Southern art, craft and furniture exhibits. 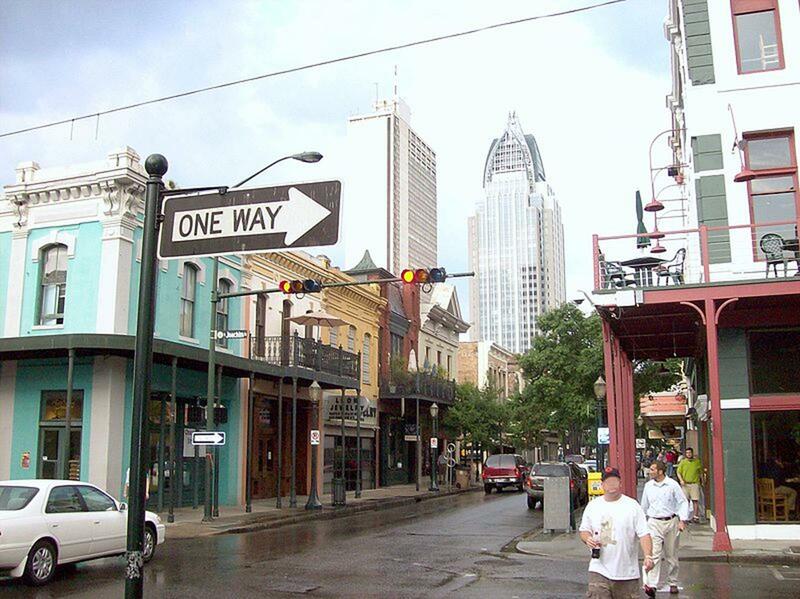 Visit Mobile’s historic districts to explore the city’s architectural heritage. Federal, Greek Revival, Italianate, Queen Anne, Victorian, Gulf Coast Cottage and 20th century Revival architectural styles can be seen in residences, skyscrapers and other buildings built here since the early 19th century. The historic districts include Church Street East, De Tonti Square, Lower Dauphin Street Commercial District, Oakleigh Garden District, Old Dauphin Way and Spring Hill. 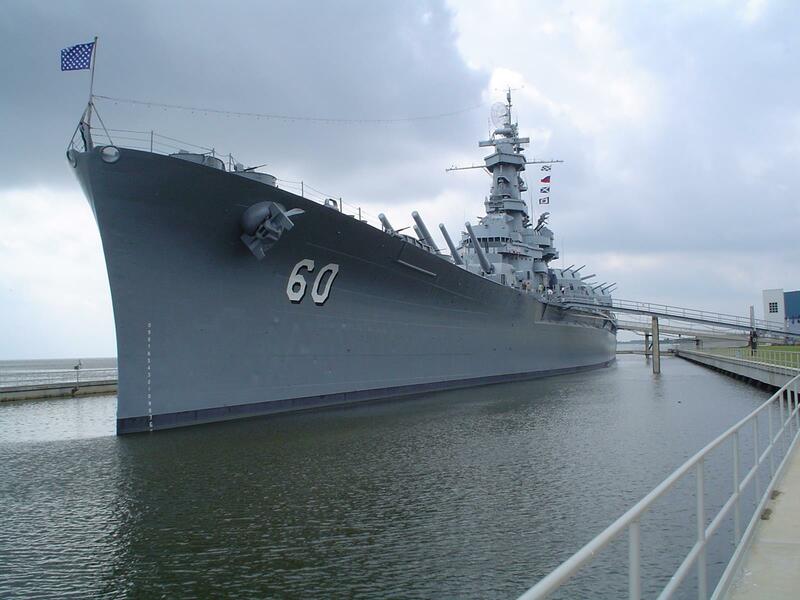 The USS Alabama Battleship Memorial Park is dedicated to members of the armed forces from Alabama who served in World War II, the Korean War, Vietnam War, Operation Desert Storm and Operation Iraqi Freedom. Tour the battleship and the USS Drum, a submarine. Make sure to see the over 20 historic aircraft on the grounds. 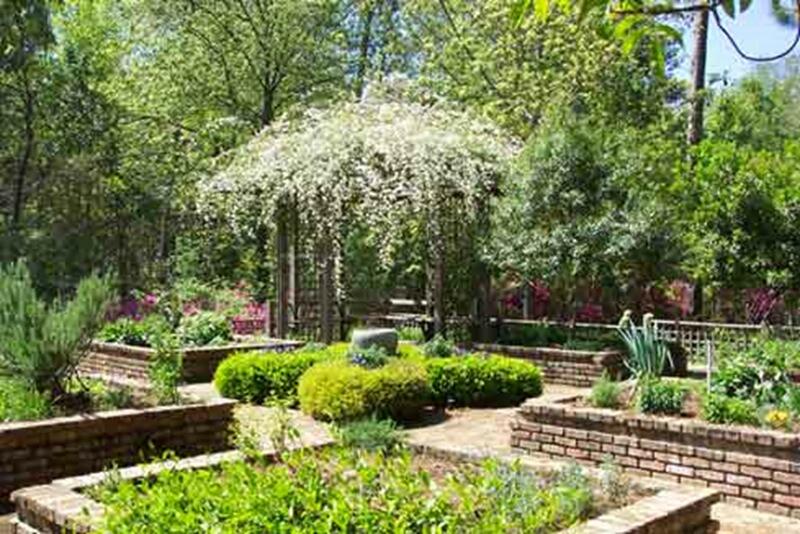 Bellingrath Gardens and Home in nearby Theodore has 65 acres of landscaped gardens. The original gardens display Italian, French and English influence. There is also an Asian garden with landscape art, a grotto, conservatory and lake. The English Renaissance mansion was built in 1935 and contains original furnishings and renowned collections of china, crystal, decorative art and silver. Other historic homes in Mobile include the Bragg-Mitchell Mansion, Condé-Charlotte Museum House, Oakleigh Historic Complex and Richards DAR House. Fort Condé is an 18thcentury military stockade built by French troops to protect Mobile and the Louisiana Territory. A museum, currently undergoing renovations, displays artifacts and equipment. Fort Condé also serves as Mobile’s Welcome Center. The Gulf Coast Exploreum Science Center is Mobile’s family-friendly science museum. The museum includes over 50 interactive exhibits on scientific principles and an IMAX theater. Gardeners will enjoy the Mobile Botanical Gardens. 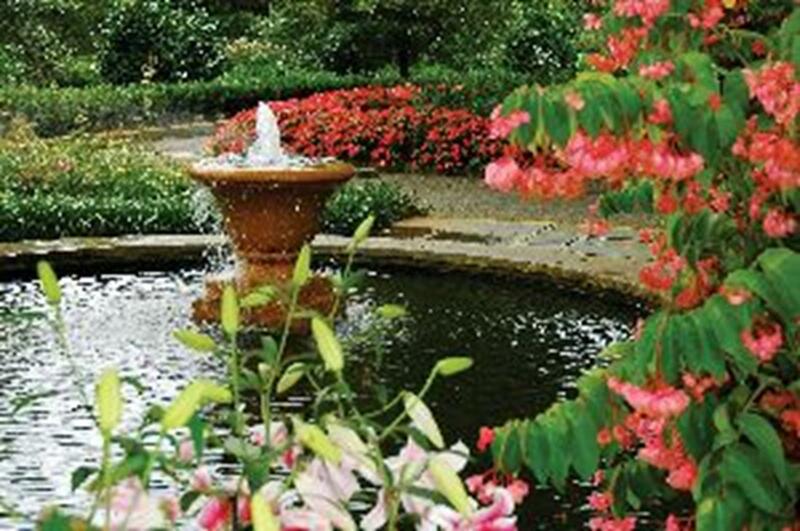 The gardens are spread over 100 acres and are split into seven areas: the Herb Garden, Founders Fragrance & Texture Garden, Rhododendron Garden, John Allen Smith Japanese Maple Garden, Fern Glade, Longleaf Pine Forest and Camellia Winter Garden. 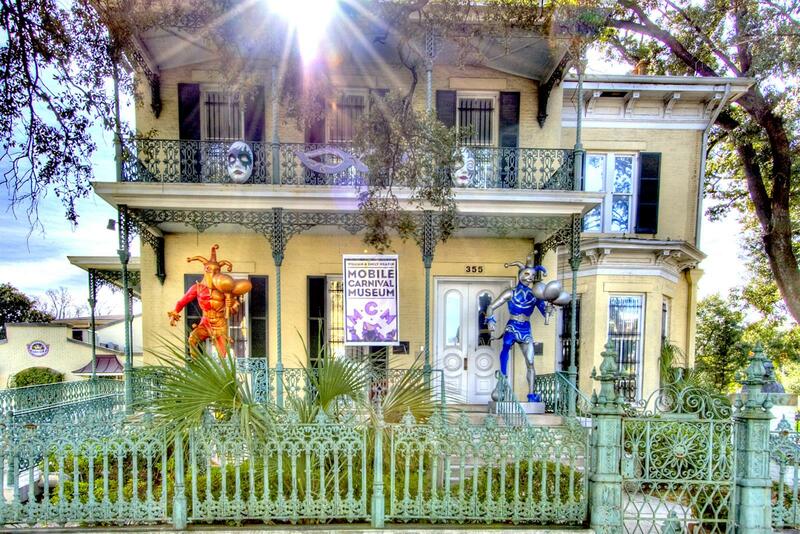 The Mobile Carnival Museum preserves the history of Mobile’s annual Mardi Gras Carnival, which began in 1703. The museum includes carnival memorabilia, a carnival float and interactive exhibits. Don’t miss the collection of crowns, gowns and scepters from 20thcentury carnival royalty. The Mobile Medical Museum has medical artifacts dating from the 1700s to the present. One exhibit displays archives and relates history of Southern medical practices. Visit The Museum of Mobile to learn about Mobile’s culture and history. 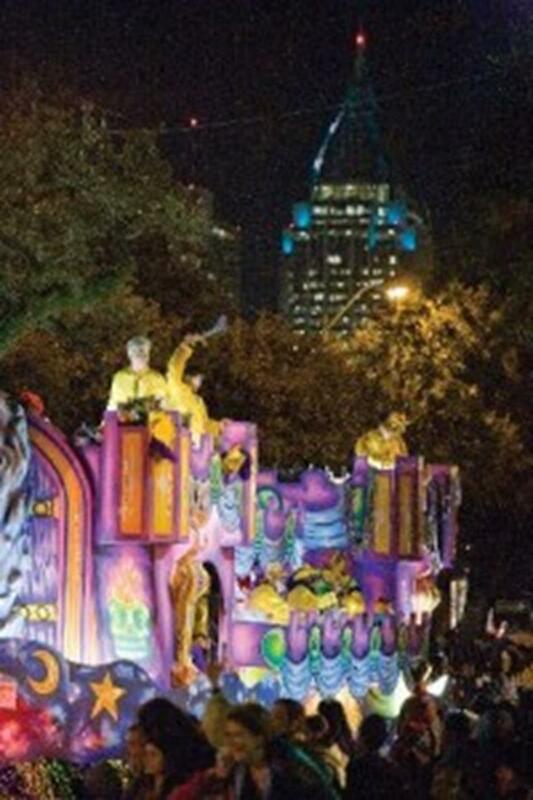 Mardi Gras in Mobile is held the two weeks before Lent. Mobile claims to be the first American city to celebrate Mardi Gras, and traditions include parades, masquerade balls and street festivals. Locals and tourists alike enjoy catching prizes from costumed mystic society members on floats. The Bayfest Music Festival is held in early October. Music genres include alternative, blues, classic rock, country, gospel and jazz. Mobile is a great destination for religious group travelers. The many religious sites and attractions will make a faith-based trip an unforgettable experience.